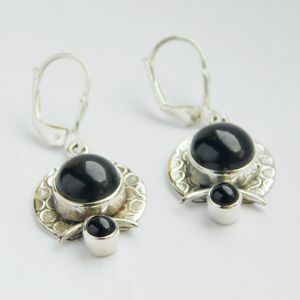 I created this pair of earrings around 4 beautiful Onyx cabochons. 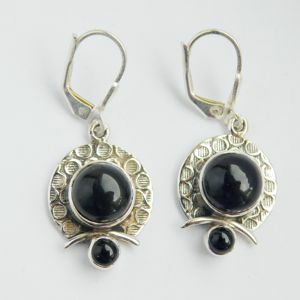 The round-shaped gems measure 9 and 4 mm. 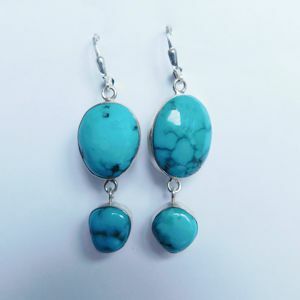 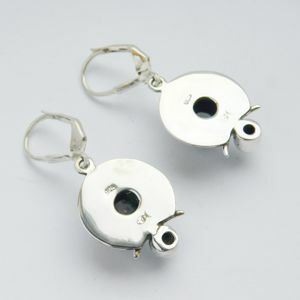 The measurement of the 925 Sterling Silver earrings is 37 x 16 mm. 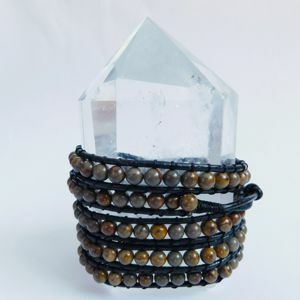 It is a protective stone worn when facing adversaries in battles of conflicts of all kinds, or while hurrying down a dark street late at night. 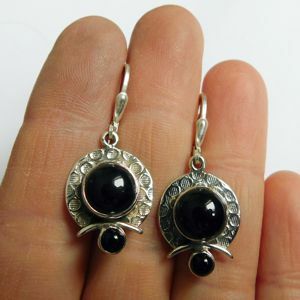 Indians and Persians believed that wearing Onyx protected them from the evil eye, and that placing Onyx on the stomach of a pregnant woman in labour would reduce the labour pain and bring on earlier delivery. 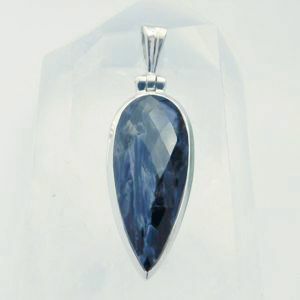 Onyx is the birthstone for Leos and is the anniversary gemstone for the 7th year of marriage. 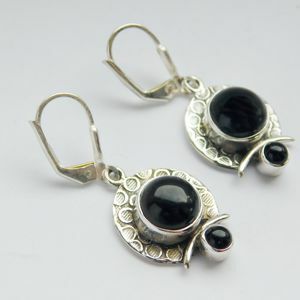 Black Onyx is the anniversary gemstone for the 10th year of marriage.